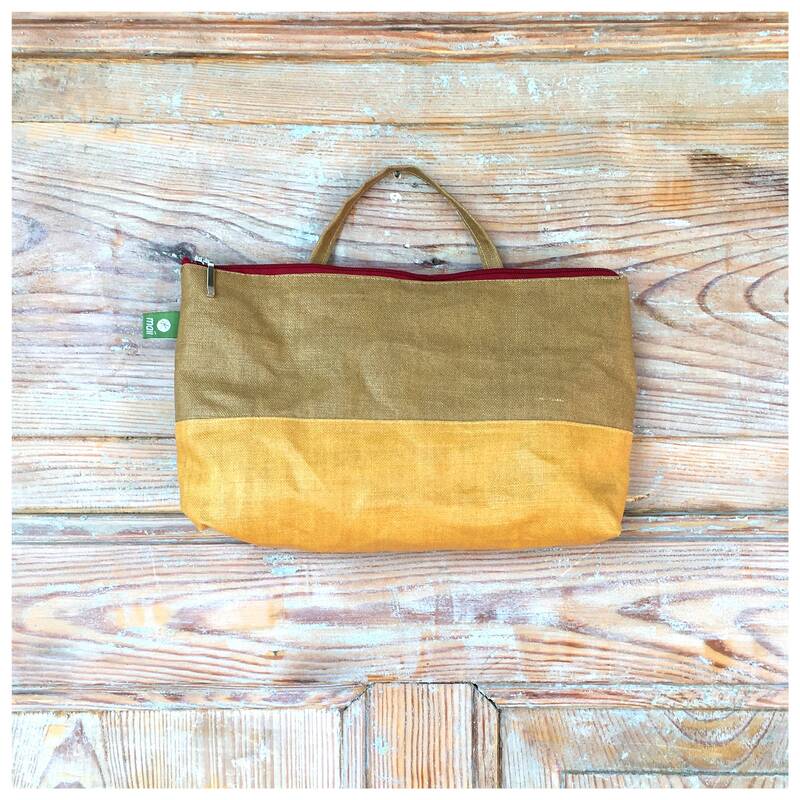 A simple diaper bag, which does not necessarily mean "diaper & Co." looks and also after the winding age as wash bag good services! 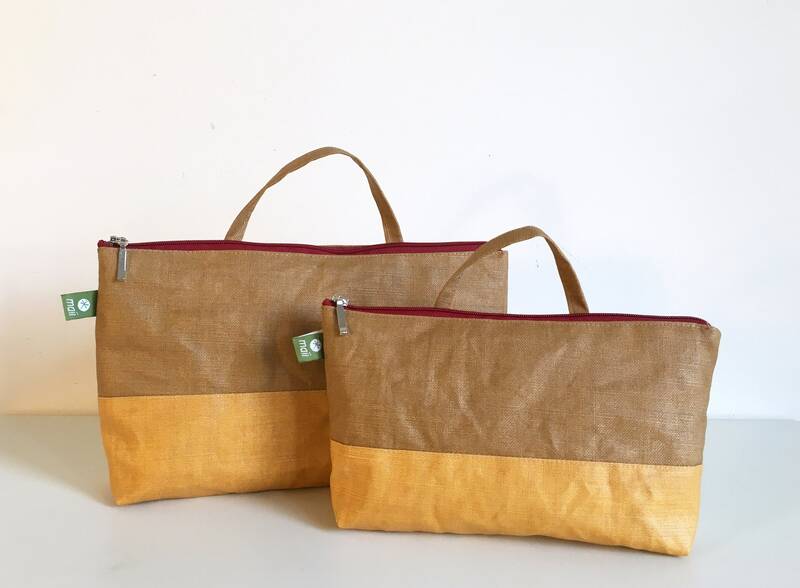 These practical waxed linen bags come in a variety of color combinations with beautifully patterned lining. 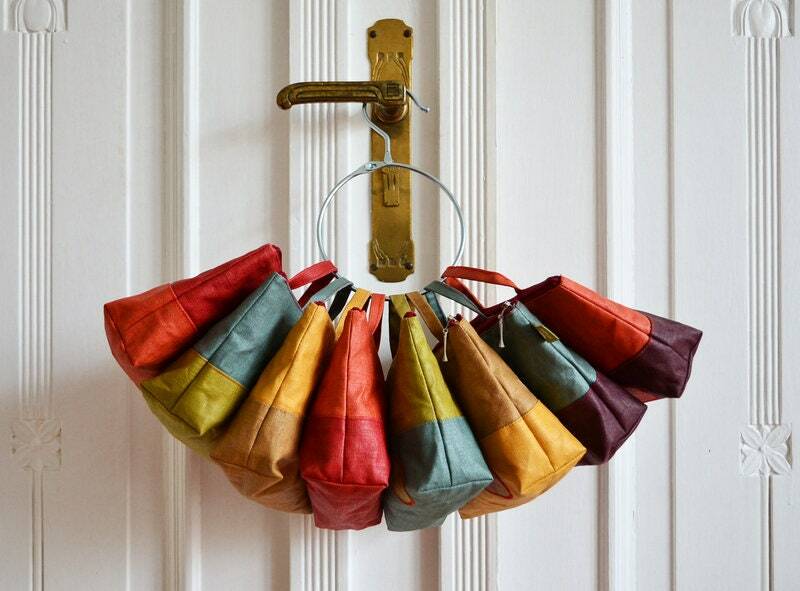 With "one handle" they can be quickly and practically attached to all door handles, hooks or simply over the bed! They provide ample space for a small supply of diapers and a pack of wet wipes. Other colors available in other offers! The size is 26cm x 15cm. 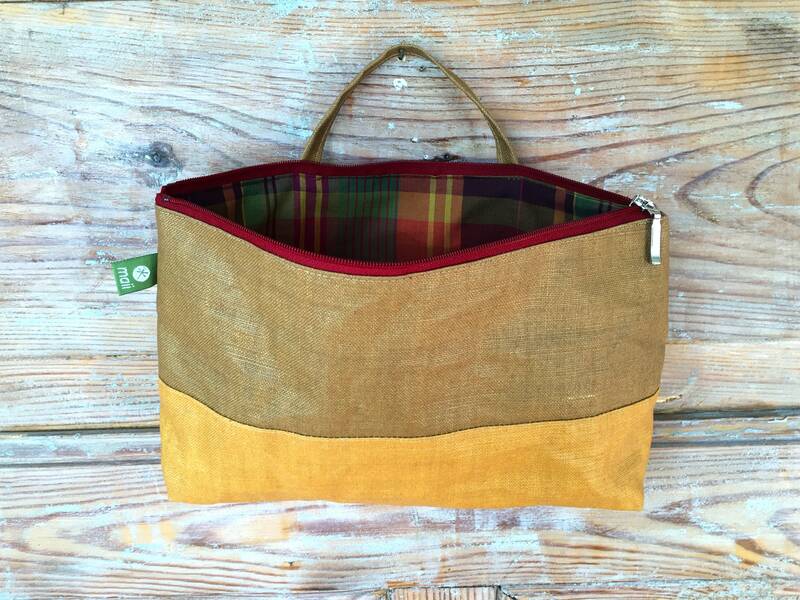 The small bag 21cm x 12cm you will find in a separatly offer.